“I join millions of Illinoisans in outrage over the futility of the Illinois State Budgeting process we’ve seen displayed for far too many years. I was sworn into the Illinois House just in January. Now, in June, we stand at the edge of a record-setting third year without a State Budget in place. I share in the disgust voters feel over this failure of leadership on behalf of those leading our legislative chambers. Let’s remember, the budgeting process as prescribed by the Illinois Constitution rests with the Legislature. That is the co-equal separation of powers set up under our Constitution. The Governor proposes a budget, the Illinois Legislature sets a revenue estimate and passes a budget that the Governor may sign, veto, or line-item veto. We don’t have to reinvent the wheel to spur action, we just have to follow our constitutional duty. The Governor proposed a budget. The Legislature failed to adopt a revenue estimate or pass a budget. It’s that simple. 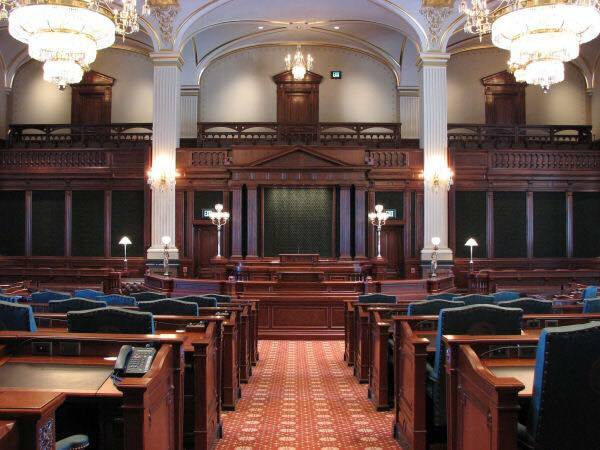 When Majority Democrats running the Illinois House failed to adopt a revenue estimate, I joined colleagues on my side of the aisle in sponsoring HB 1815, a bill to set the revenue estimate. The Speaker refused to let the bill out of Rules Committee, sealing its fate. The notion has been out there, and I have been remised to believe it until now, that perhaps the Democrat Majority leading the legislature will refuse to allow this Governor to enact a budget during his first term in office. The failure of the legislature to set a revenue estimate and pass a budget certainly feeds this conspiracy theory and brings it into the realm of reasonable presumption. Had the legislature sent this Governor budgets, of any kind, they could make a better case that responsibility for this mess rests with the Executive co-equal branch, but by failing to pass a revenue estimate and a budget, it is clear that the legislative branch has failed in fulfilling its Constitutional Duty. Full stop. As a minority member of this co-equal legislative branch of government, I urge our leaders on both sides of the aisle and in both chambers, to immediately address this breach of oath and enact a revenue estimate and negotiate a balanced comprehensive budget. It’s the path forward prescribed by our Constitution and it’s disgusting that so many of my colleagues are not taking their Oath of Office seriously. I certainly do and am hoarse from calling for action and reasonable compromise, within the lawful framework with which we have sworn to adhere.